In the hall of trophies in his Caribbean retreat, Kraven the Hunter displays his expertise by throwing a spear unerringly into the heart of a statue of Spider-Man. Kraven's lover, Calypso, is only moderately impressed, and she comments that she first came to care for him when he hunted the real Spider-Man. Now, she continues, Kraven is not as young as he once was. Kraven replies that he abandoned his pursuit of Spider-Man because it became an obsession with him that caused him to behave dishonorably. Calypso then asks whether the memory of Kraven's humiliation at Spider-Man's hands in their last confrontation does not rankle. Kraven replies that it does, but what rankles more is the knowledge that he used an innocent named Tigra in the battle, and Spider-Man still won. Then Kraven terminates the conversation, saying that they must prepare for their journey to New York to deliver a shipment of animals. Peter Parker and Debra Whitman are walking in Manhattan's Soho district. Debra is worried about her uncle, who owns a small shipping line and has been threatened by thugs. Perhaps, she wonders, Peter could do something with his newspaper contacts? When Peter replies that he has no time, what with picture-taking for the Daily Globe and, studying and teaching, Debra walks away disappointed. After some thought, Peter changes him mind, puts on his Spider-Man costume, and heads for the docks to find Debra's uncle. On the waterfront, he spots a freighter unloading a shipment of animals that are evidently destined for the new Staten island Zoo. Both Kraven and Calypso see Spider-Man web-swinging overhead. Kraven, in disguise, at first wonders whether Spider-Man is leaving to notify the authorities, but he eventually decides that Spider-Man's being there is a coincidence. 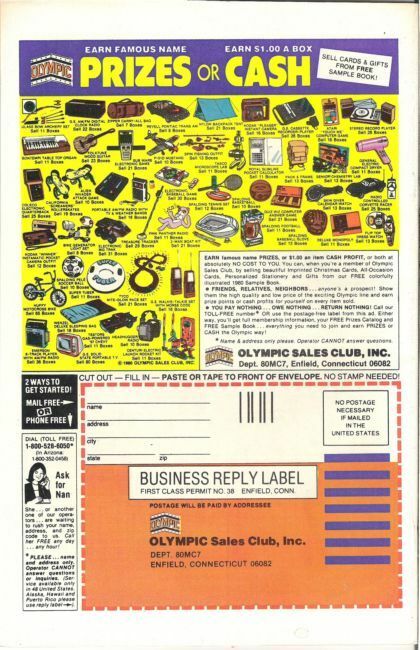 Meanwhile, Calypso steals away, unlocks a cage door, and frees Kraven's animals. She hopes in this way to return Kraven to "his natural greatness." Within a minute there is a stampede, and Kraven quickly throws off his outer garments and starts to recapture the animals. Spider-Man sees a large eagle escape, and as he pursues it, it passes through a rooftop photography session, causing a startled model to plummet toward the street. In a show of agility, Spider-Man catches the model and webs up the eagle at the same time. 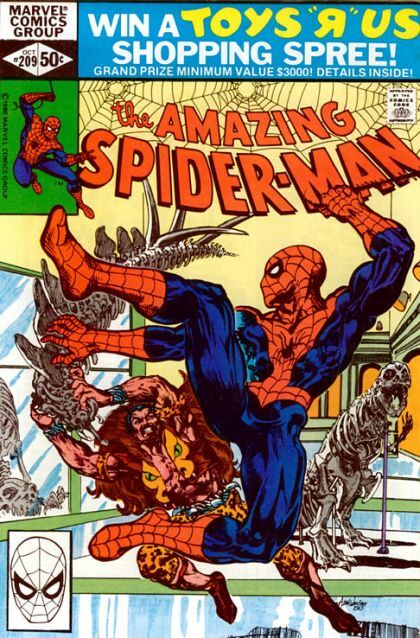 After Kraven rounds up the rest of the animals, he and Calypso retreat to his New York apartment, where she tries to persuade him that Spider-Man was responsible for opening the cages. When Kraven says he finds that hard to believe, she accuses him of cowardice and goads him into once more trying to defeat Spider-Man. Meanwhile, Peter arrives ten minutes late at Barney Bushkin's office, where he meets Bushkin, Rupert Dockery, and Sandy Jones. Dockery asks Peter to try to obtain photos of affairs between Empire State University professors and their female students, but Peter replies that such affairs do not exist. Dockery hints that Peter might be able to find some. "Or fabricate some?" asks Peter, and Dockery craftily says that Peter "understands." In Los Angeles, when Spider-Woman reads a newspaper account of Dockery's being hired by the Globe to boost the paper's circulation, she regrets that she and Captain Walsh lacked the evidence to put Dockery in jail. Just as Peter declines Dockery's assignment, Kraven arrives at the office with a challenge. He tells Bushkin that he wants to fight Spider-Man to the death and demands that the announcement be placed on the Globe's front page. He has, he continues, a spider tracer with which Spider-Man will be able to find him. At the appointed time, midnight, Spider-Man arrives in front of the American Museum of National History. Kraven wants no spectators, so he has chosen a site where they are not likely to be interrupted by police or newspeople. When Spider-Man enters the building, he finds the security guards unconscious. Soon Kraven appears, demanding to know why Spider-Man released his animals that afternoon. Spider-Man replies that he does not know what Kraven is talking about, and that Kraven's braggadocio is making him sick. Kraven leaps down from the mezzanine, and Calypso eagerly watches from the shadows as the battle begins. Kraven breaks open a display case full of spears and throws them at Spider-Man, who easily dodges them. But the spears are meant to force Spider-Man into a trap, and suddenly a net falls over him. Before Spider-Man can free himself, Kraven applies his deadly nerve-grip. Immobilized, Spider-Man cannot prevent Kraven from punching him in the stomach and knocking him nearly unconscious to the floor. Boasting of his impending victory, Kraven breaks off the spiked tall of a stegosaurus skeleton and tries to impale Spider-Man, but Spider-Man manages to trip Kraven with his webbing. Still wobbly, Spider-Man grapples the bewildered Kraven, and as they tumble down a staircase, Spider-Man feels his strength return. Then Spider-Man slams Kraven in the stomach, hurling the criminal through the museum's front door into the arms of the police, who were alerted by one of the guards. The police take both Kraven and Calypso into custody.